Falmouth Mayor, Colin Gager (right), alongside the three policemen from the Trelawny Police Division who were honoured by the Trelawny Municipal Corporation on National Heroes' Day for their professionalism in handling a well-publicised traffic encounter with Jamaican Olympian Warren Weir earlier this year. 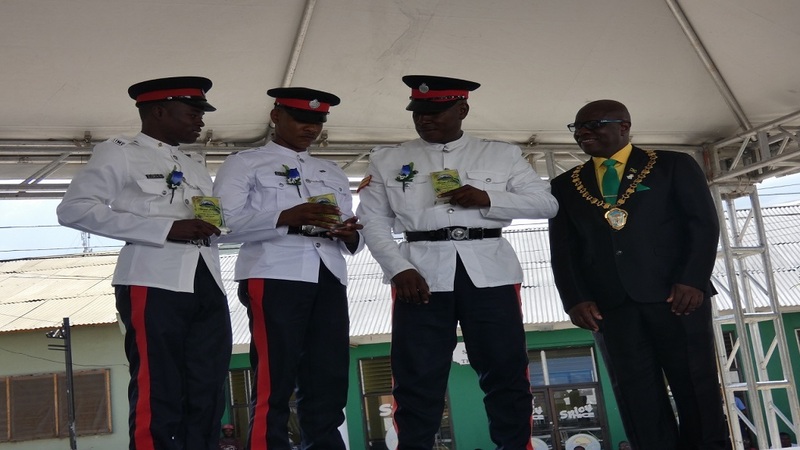 The three Jamaica Constabulary Force (JCF) members who ticketed Olympian Warren Weir along a major thoroughfare in the parish in July were honoured for professional conduct during the Trelawny Municipal Corporation Awards civic ceremony on National Heroes’ Day. The three officers from the Trelawny Police Division who were awarded were Corporal Michael Swaby, Constable St Clair Harris and Constable Derval Mitchell. A video that was widely circulated on social media showed the police officers conducting a spot check which involved stopping a vehicle that was being driven by the 2012 Olympic 200m bronze medalist. Weir was seen in the video questioning the cops’ motive for stopping him and complaining that the lawmen were acting unlawfully. 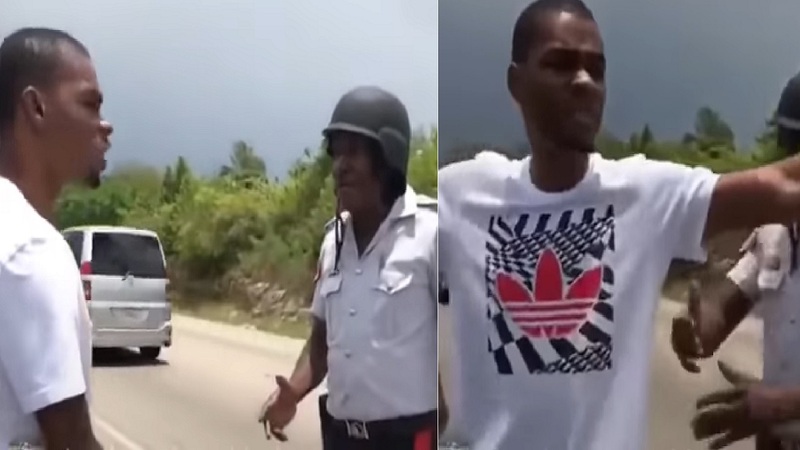 Screenshots from the traffic encounter between a team of policemen from the Trelawny division and Olympian Warren Weir (left) earlier this year. The cops subsequently found an outstanding traffic ticket (from February 12) in the vehicle, and proceeded to call traffic headquarters to check whether there was a warrant out in relation to the violation. 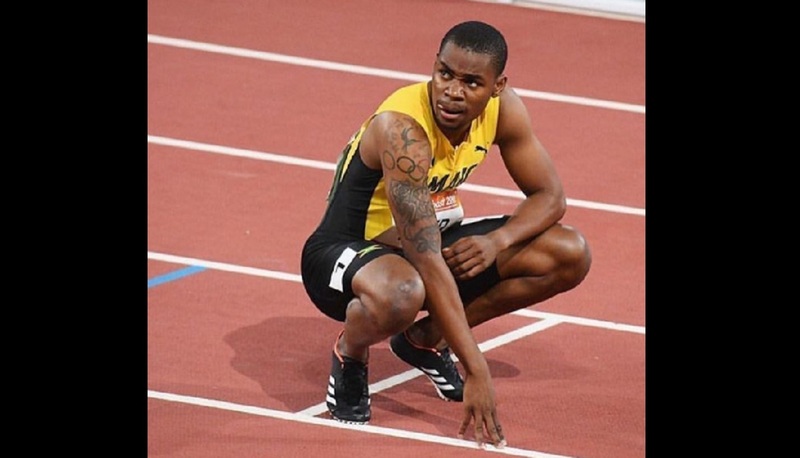 At that point, the cops asked Weir for his identification and upon discovering the track and field star’s identity, Corporal Swaby expressed alarm at the star’s conduct. “Is this the Warren Weir who represents Jamaica?” the lawman asked rhetorically. “The ambassador of Jamaica! My God of Heaven… a crying shame, a national embarrassment…” continued the lawman before describing Weir’s behaviour as being “atrocious” and “disrespectful”. The police team eventually allowed Weir to proceed after issuing him a ticket for excessive tinting on the vehicle. In a news release following publication of the incident, the Police High Command publicly commended the corporal and his team for “remaining professional while executing a vehicle checkpoint operation”. In a subsequent statement posted on social media, Weir apologised for his behaviour. 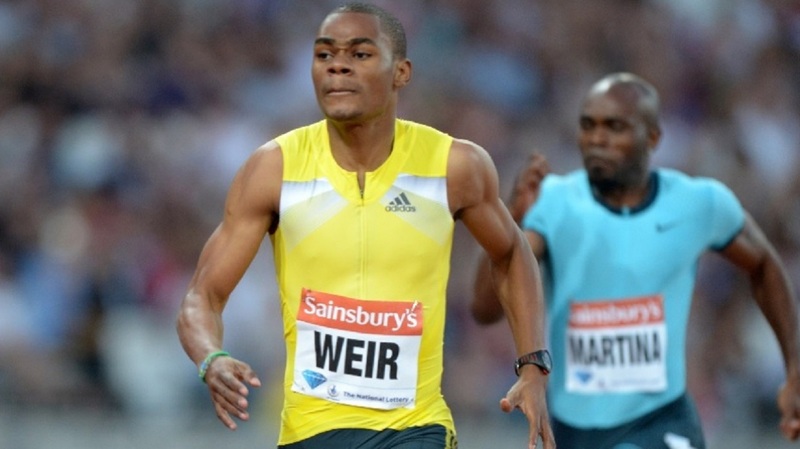 Olympian Warren Weir back in his days of high-level competition on the running track. “After careful consideration over the last few days, and numerous discussions with my family and friends, along with analysing the feedback of many on social media, I would like to apologise for my reaction to being stopped by members of the Jamaica Constabulary for a routine search," his statement read in part.